I've reviewed the Japanese edition of this book (モンスターハンターイラストレーションズ) before, so I just borrowed this copy from Basheer Graphic Books to find out the differences. The English edition translated by Udon is just one book as compared to the Japanese edition which comes with two books and a slipcase. Udon has combined the two books into one and did away with the dust jacket. This is a 304-page paperback and the binding looks good enough for the thickness. The main section features the concept art for the monsters, characters, armour and weapons. All the art are drawn in detail with captions. Some monsters even have their bone structure drawn. There are over 100 of drawings for the monsters. The second section contains black and white sketches. The paper used here is also different. It's just the usual white paper without the glossy finish. The sketches are mainly on monsters and characters but rougher in details. This section is 64 pages and the earlier one 240 pages. The artbook is great except that there are some editing errors like spelling mistakes. 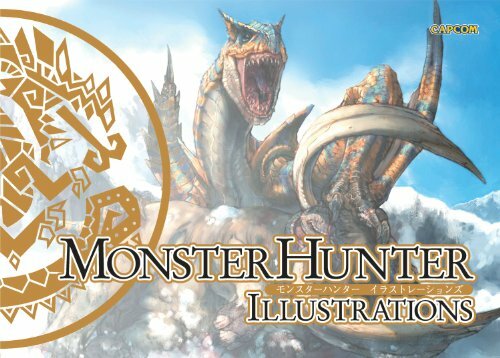 Other than the minor issue, this book is most highly recommended to fans of Monster Hunter, video game art and fantasy artists. Hi Parka thanks for the review. Do you know if the materials covered in this book is spanned across all the Monster Huneter games that have been produced, or just a selected few? Hey Parka, which did you prefer and why, the Jp editions or the English ones? Personally I would go for the Japanese edition because I like their binding and paper better. Anyway, this book is coming back in stock soon. Thanks Teoh! I'll keep that in mind and purchase it a basheer. When they are going to reprint it? Is there a date already?